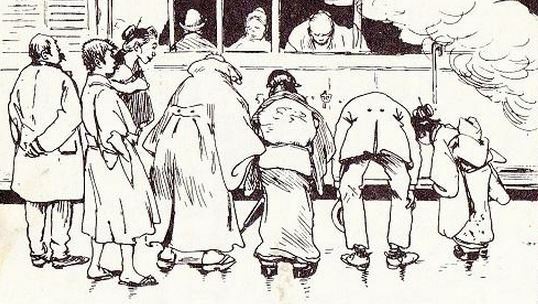 When drawing your dictionary 見送り (みおくり; miokuri) has various meanings, however, the one referring in this article is solely about sending someone off, farewell somebody. お(御; O), as seen in the title, is a honorific prefix, adding loftiness and beauty (as part of 美化語・雅語; びかご・がご) to the expression, like ‘honorable farewell’. A blessed actress and singer she is, Kaji Meiko, and Akane Gumo (あかね雲) just one of her many beautiful songs that will put the listener under a spell. Below the lyrics with Furigana provided. The English translation done personally, which might not be perfect, but hopefully conveying the meaning and scenes. 1.) The first word in the characters of 一心不乱 may be partially seen in the background on the wall scroll. Personally spoken, it is one of those beautiful, but simple words that carry the spirit of Japan.